Surly Pizza Upstairs hosts a game night every Wednesday. From 4pm–10pm, guests can bring their friends to Surly, grab a seat, a game, and a sweet menu deal for your crew. 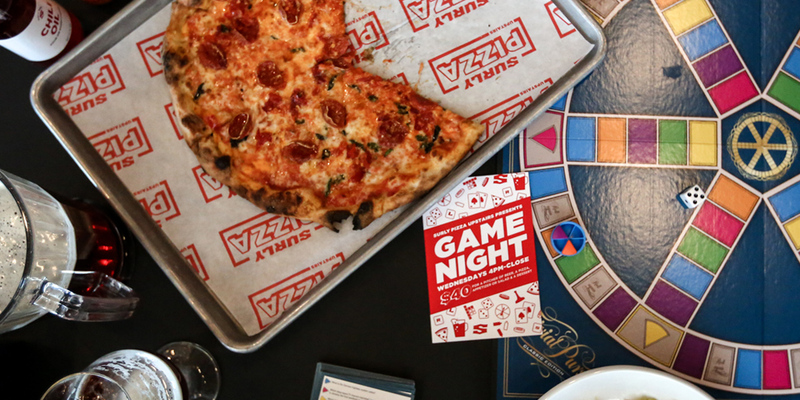 Settle Catan, sink battleships, and pursue trivia in the comfort of our pizza space. Sweet Deal: $40 for a pitcher of beer, a pizza, an appetizer or salad and dessert.